From Los Angeles, Brokaw went to Washington as the White House correspondent during Watergate and as the principal back up for John Chancellor as anchor of NBC Nightly News. Next stop: New York and TODAY followed by his appointment as anchor and managing editor of NBC Nightly News with Tom Brokaw. In addition to his daily news gathering responsibilities, Brokaw reported on more than thirty documentaries covering subjects ranging from AIDS, Los Angeles gangs, race, education, medicine, immigration and global warming. He has an impressive list of firsts, including the first interview with Mikhail Gorbachev; the first network report on human rights abuses in Tibet accompanied by an exclusive interview with the Dali Lama; the only American network anchor to report from Berlin the night the Berlin wall came down. In 1998 Brokaw published his first book, The Greatest Generation, one of the most popular non-fiction books of the 20th century. He followed that with five other books, including BOOM! Voices Of The Sixties and, most recently, The Time Of Our Lives. 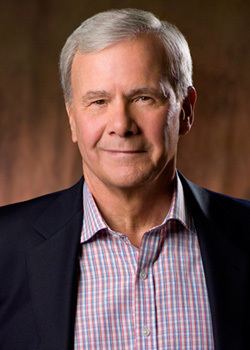 Brokaw has won every major award in his craft, including Peabody, Duponts, Emmys and lifetime achievement recognition. 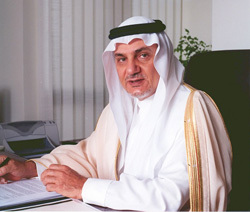 His Royal Highness Prince Turki Al Faisal bin Abdul Aziz Al Saud was born on February 15, 1945 in Makkah, Saudi Arabia. HRH began his schooling at the Taif Model School and then went on to complete his high school diploma at the Lawrenceville School in Princeton. HRH went on to study at several universities including Georgetown University, class of 1968. His Royal Highness was appointed as an Advisor at the Royal Court in 1973. In 1977, HRH was appointed Director General (with a rank of Minister) of the General Intelligence Directorate (GID), Saudi Arabia’s main foreign intelligence service. HRH served as the head of the GID until August 2001. In October 2002, HRH was appointed as the Saudi Arabian Ambassador to the United Kingdom and the Republic of Ireland. HRH served in the position until July 2005, when he was appointed as Ambassador to the United States. He retired in February, 2007. His Royal Highness is a Founder and Trustee of the King Faisal Foundation as well as the Chairman of the King Faisal Center for Research and Islamic Studies. HRH is also a Trustee of the Oxford Islamic Center at Oxford University and the Center for Contemporary Arab Studies (CCAS) at Georgetown University. HRH is also a Commissioner at the International Commission on Nuclear Non-Proliferation and Disarmament. HRH received an honorary PhD. In Philosophy from the University of Ulster in 2010 and is a visiting Distinguished Professor at Georgetown University. His Excellency Dr Mahmoud Jibril, was born on May 28, 1952 in Benghazi, Libya. Dr. Jibril is one of the architects & founders of the National Transitional Council of Libya. He held the post of Interim First Minister and Foreign Minister since March 3 2011 and led the team which began securing the recognition of the Interim Transitional National Council as the true and sole representative of the Libyan people. He maintained his post during the revolution and in October 2011 he announced his resignation upon the liberation of Libya. Dr. Jibril holds a degree of bachelor in economics and political science with honors from Cairo in 1975. The next and final chapter of his education was in The University of Pittsburgh, Pennsylvania were he obtained a masters in Political Science and a Doctorate in Strategic planning & Foreign Policy in 1984 and served there as a professor for two years. His career has focused on the field of Human & Institutional Capacity Development, as he led and developed many strategic programs across the world and assisted in with a focus on the MENA region. Dr. Jibril entered politics in 2007 where he was pressed by the previous government and appointed as the Secretary General of the National Planning Council in Libya and led the work on Libya Vision 2025. During that period he also presided the National Economic Development Board which instigated a number of key socio-economic structural reform initiatives. He tried to resign on more than one occasion due to his doubts about realizing the opportunity for change and finally did so in 2010. 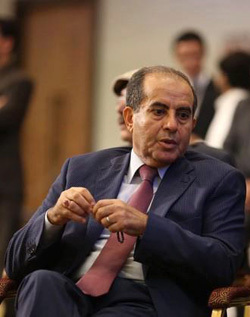 Currently Dr. Jibril is president of the National Forces Alliance which he cofounded with a wide range of national forces of political parties, civil society organizations, independents in addition to regional community leaders from all over Libya devoted to lay the foundations of a democratic civil state. Click here for additional information on sponsorships. 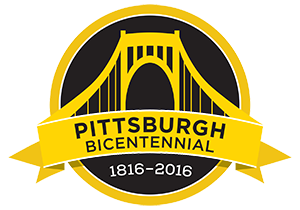 For more information please contact Maria Hastings, 412.995.0076 or mhastings@americanmei.org.